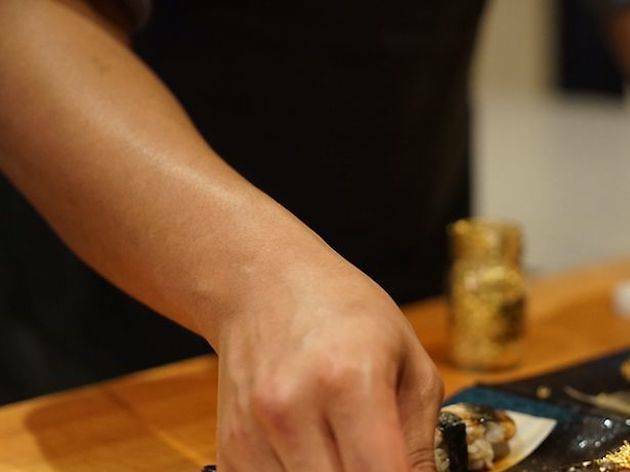 A tiny Japanese restaurant with an 18-course omakase menu sourced straight from Tokyo. Ju-Ni translates to “twelve” in Japanese, a nod to the jewel box-sized restaurant’s 12 seats. Headed up by chef Geoffrey Lee and his business partner, Tan Truong, the Nopa newcomer has garnered considerable accolades since opening in 2016, including a 2017 Michelin star. A single sushi chef is devoted to every four guests, resulting in both impeccable service and an intimate vibe. The fish for the 18-course omakase menu ($165) is sourced from Tsukiji Market in Tokyo; bite is delivered with a soliloquy on the origin, creative process, and tradition behind the dish.